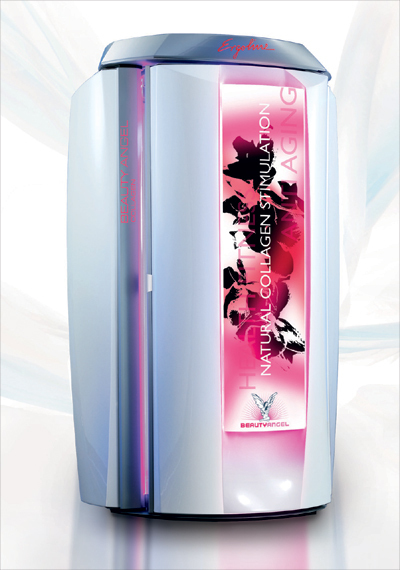 The red light penetrates deeply into the skin and increases the body’s own production of collagen. Fine lines are reduced and the skin becomes visibly tauter and smoother. This 20-minute session is beneficial for treating fine lines, wrinkles, blemishes, acne scars, and age spots – all while promoting skin toning, tightening, and anti-aging benefits. Being that the light is specific to your face, it helps to stimulate collagen and elastin production, as well as helping to repair damaged skin cells. During this relaxing vitamin steam session, you will burn up to 600 calories, get stress relief, and deeply moisturize and hydrate your skin. 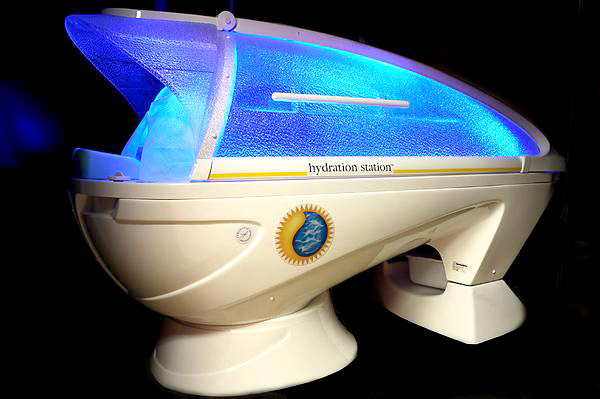 Not only that- you’ll accelerate, prepare, and prolong the life of your tan! Burn up to 1,500 calories in the FIT Body Wrap! FIT Body Wrap uses Far Infrared Heat to literally melt away fat and toxins, relieve pain, increase metabolism, and burn calories while you simply relax. This pod will help increase circulation and metabolism, remove toxins, relieve joint and muscle aches, alleviate stress, stiffness, and cramps, and reduce water retention and bloating. It will also relieve fatigue and tiredness, all while promoting your quality of sleep. The Cocoon experience is further enhanced as you breathe in refreshing and cleansing salt air created by a pure Himalayan Crystal Salt Block. Twilight Teeth uses the heat and UV-light from your tanning session to accelerate the teeth whitening process, delivering whitening results superior to any over-the-counter product you can buy. You will notice results after your very first tanning session! 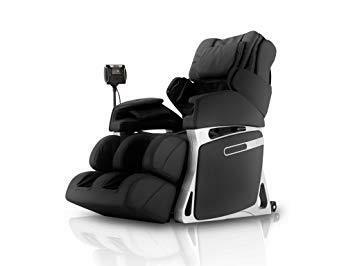 Relax in our state-of-the-art massage chair which features roller foot reflexology, thigh and hip massage, an amazing spinal decompression stretch, body YUGA, sensors that are customized for targeted therapeutic massage, back Lubumbashi heat therapy, shoulder care air massage, shiatsu deep massage, customized and pre-programmed therapeutic massage, and manually-controlled massage options. Available at our New Port Richey location only. *Services and equipment may vary per location. Visit your local salon for details. Stop into one of our salons or give us a call for more information.